Canada’s coastlines are a source of inspiration and pride. Even for Canadians living inland, many of the jobs that support middle-class families, and the products used every day, depend on Canada’s waterways. On May 31, 2017, the Honourable Dominic LeBlanc, Minister of Fisheries and Oceans and the Canadian Coast Guard announced a five year, $75 million national Coastal Restoration Fund. This program will support marine habitat restoration priorities and address threats to marine species located on Canada’s coasts and waterways. Projects will be selected and announced in the coming weeks so restoration activities can begin as soon as this summer and early fall. “Today, the Government of Canada has taken steps to protect the health of our oceans and ensure the safety of those who enjoy and work on them. Through the Coastal Restoration Fund, we will support projects to rehabilitate some of our most important marine ecosystems. We will start announcing projects as soon as we can get this important work underway. We have also enhanced the Canadian Coast Guard’s 24/7 emergency management and response capabilities and will significantly increase the number of Canadian Coast Guard lifeboat stations in key areas,” said LeBlanc. Back in November of 2016, Prime Minister Justin Trudeau launched the Oceans Protection Plan. This national strategy is creating a world-leading marine safety system that provides economic opportunities for Canadians today, while protecting our coastlines and clean water for generations to come. The $1.5 billion strategy is delivering the largest investment ever made to protect Canada’s coasts and waterways. In Victoria, Minister LeBlanc announced that the Canadian Coast Guard will establish seven new lifeboat stations — an investment of $108.1 million over five years with ongoing funding of $12.2 million. The Canadian Coast Guard will also create 24/7 emergency management and response capacity within the three existing Regional Operations Centres across Canada to better plan and coordinate effective response during an incident. In Toronto, Minister McKenna launched a review of the Pilotage Act – the legislative and regulatory framework that ensures experienced marine pilots navigate ships safely through select waters in Canada. The Review will be chaired by Mr. Marc Grégoire, who is a former Commissioner of the Canadian Coast Guard and former Assistant Deputy Minister of Safety and Security at Transport Canada. Under Mr. Grégoire’s leadership, the Review will focus on topics such as tariffs, service delivery, governance, and dispute resolution. In St. John’s, Minister Garneau announced the launch of a national, five-year $6.85 million Abandoned Boats Program led by Transport Canada. This Program will facilitate the removal of existing smaller high-priority abandoned boats, educate boat owners about their responsibilities, and support research into improving recycling options for boats. Minister Garneau also announced a separate initiative that will soon support the Department of Fisheries and Oceans’ mandate of operating a national network of safe and accessible small craft harbours for the commercial fishing industry. Over the next five years, $1.3 million will be available to provide support to Harbour Authorities and other eligible recipients in removing abandoned and wrecked vessels from federally owned commercial fishing harbours and disposing of them. These new measures will help ensure that Canada is better equipped, better regulated, and better prepared to protect its marine environment and coastal communities. “Abandoned boats in Canada can pollute the marine environment, harm local businesses such as tourism and fisheries, damage infrastructure, interfere with navigation, and pose health and safety risks to Canadians. Through the Oceans Protection Plan, our new Abandoned Boats Program will not only remove the highest priority small boats, but also help owners better understand how they can better protect our coasts and waterways,” said Garneau. The Canadian Coast Guard will establish seven new lifeboat stations – four in British Columbia: in the areas of Victoria, Hartley Bay, Port Renfrew, and Nootka; and two new stations in Newfoundland and Labrador: in the area of Twillingate and Bay de Verde. In addition, the former Maritime Communications and Traffic Services station in St. Anthony, Newfoundland and Labrador, will be refurbished to become a search and rescue lifeboat station. The Canadian Coast Guard will create 24/7 emergency response capacity within existing Regional Operations Centres in Victoria, Montreal and St. John’s. These centres, along with the new 24/7 capacity of the Coast Guard National Command Centre in Ottawa, will monitor, assess, and deliver tasking and reporting functions focused primarily on Coast Guard assets and emergency response management, including marine pollution incidents. The Coastal Restoration Fund will support planning for, and the rehabilitation of, important coastal habitats used by fish species including at risk marine mammals. Areas such as eelgrass beds, estuaries, and other coastal habitat locations along Canada’s coastlines will be eligible. Marine pilotage is a service where marine pilots take control of a vessel and navigate it through our ports and waterways. In Canada, once a vessel enters a compulsory pilotage area, under law, the vessel is obligated to have a Canadian marine pilot to guide its transit through the area. Over 99% of marine pilotage trips in Canadian waters under the current Pilotage Act are executed without incident. It is estimated that there are more than 600 abandoned boats across Canada. 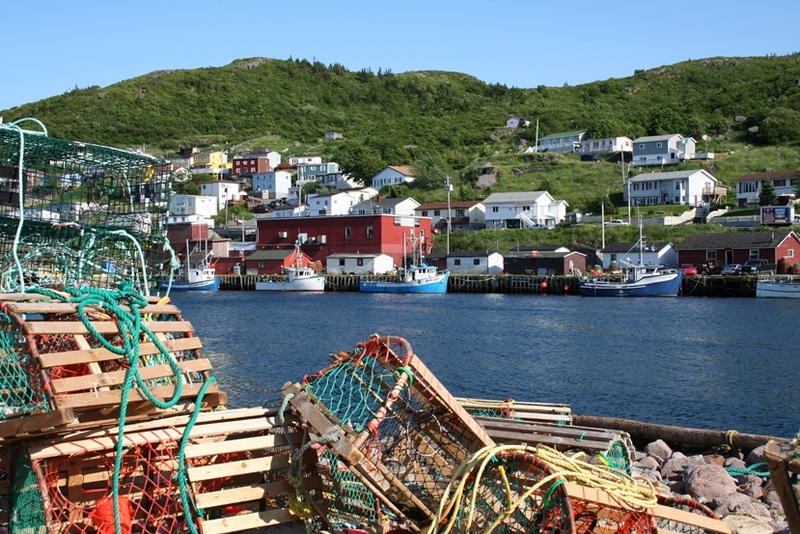 Photo of Newfoundland fishing village via Adobe Stock. See Coastal Restoration Fund website.